Cam's Cinematic Episodes: Epi-Cast: Episode 2 - "Tilda Swinton On Da Brain." Epi-Cast: Episode 2 - "Tilda Swinton On Da Brain." Peace to the geese! Despite the fact that I've yet to write up anything even approaching substancial (other than a weirdo Punisher: War Zone review that was written when I'd forgotten to take my meds. Don't ask...), I'm giving you all another free podcast featuring myself and my jovial co-host Tom Wytrwal. This one's a bit less over-stuffed, and definately more concise and on-par. Hope you all enjoy it. To download, right-click and save on the green episode title above and then be aurally satisfied to your heart's content. 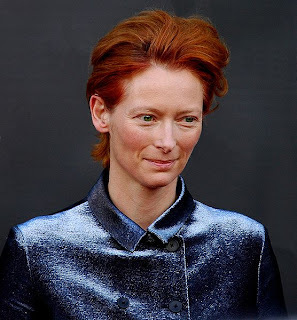 Epi-Cast Episode 2: "Tilda Swinton On Da Brain."